Just a couple of years ago Niagara was blessed with a great vintage, 2010. Early bud break and an extended hot, dry growing season, coupled with sufficient rain, produced some of the best growing conditions Niagara has ever seen. Conditions for ripening the Bordeaux varietals were absolutely picture perfect. By the middle of August our Cabernets were looking really good. The adequate amount of rain and the dry days caused the grapes to be ahead of schedule in their ripening; well on their way to a “full of flavour” harvest. We knew we were looking at a superb vintage to be remembered for a while. In 2010, we were able to harvest our Cabernet Franc and Cabernet Sauvignon with spectacular ripeness and intensity of flavour. Our Bella Terra reds were going to be amazing. To complement the intensity of fruit ripeness in the grapes, Fred made the decision to age these full bodied reds for 18 months in barrels. When bottling time came around, our winemaker put aside 2 unfiltered cases each of our Cabernet Franc, Cabernet Sauvignon and Meritage. He wanted to study how these superb wines would develop unfiltered. Would the risk be worth it? This past April 2014, something very special happened: our friend Michael Pinkus dropped in at the winery. 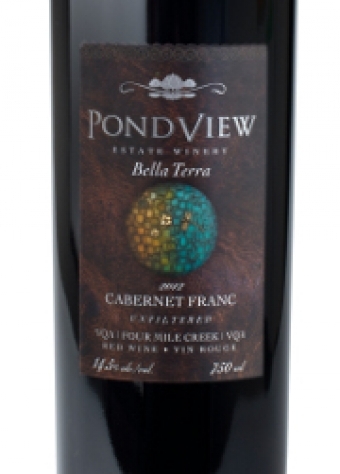 We were reminiscing about the 2010 vintage and how that vintage had produced some very special wines, and how we wished we would have had more Bella Terra Cab Franc. It was one of our very favorite wines; but unfortunately we were sold out of it, except for a few cases we had set aside for one of our licensee friend. We opened a bottle and tasted it again. After all, a good bottle of wine is best enjoyed shared with friends. The Cab Franc was still as delicious as we last remembered. There was our winemaker Fred DiProfio, Michael Pinkus, Lou, Marcel, two of our staff and two more wine lovers, when Lou announced we would now enjoy a bottle of the unfiltered Cab Franc he had set aside in his basement. The next twenty minutes will be forever remembered by those present that day. As we tasted the 2010 unfiltered Cab Franc side by side to the regular 2010 Cab Franc. The difference and the superiority of the unfiltered wine became apparent. The richness, ripeness and intensity of our Cab Franc was now intensified to a new higher level. As we savoured every drop of that special Cab Franc bottle, the discussion quickly turned to our soon to be bottled 2012 Bella Terra reds. 2012 had brought an unusually long growing season to Niagara, providing abundant amounts of sunshine and warmth to produce extremely ripe grapes at harvest. Our full bodied reds were intense and exploding with ripe fruit flavours. To add more texture and extend the ageing time, our winemaker Fred decided to age these wines in French barrels for 16 months. We had witnessed what the 2010 vintage produced, but the 2012 vintage, still in our barrels, was every bit as good if not better than 2010; and we were very excited about what that would mean. Could we take a risk and bottle those wines, unfiltered? Was the risk worth it? The decision was made right there and then. Our soon to be bottled 2012 Bella Terra reds would be unfiltered. 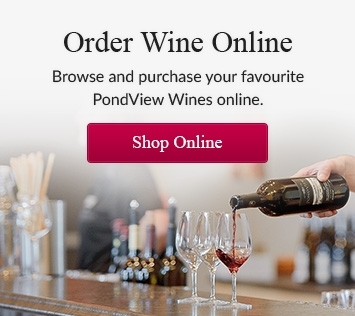 We feel these wines have such a depth of fruitiness, ripeness and intensity that they would reward our friends and loyal customers with some incredibly delicious full bodied reds. Wines that are truly a joy to drink and a pleasure to share! Thanks Michael, for dropping in and sharing in our discovery!